Bups Saggu is back with his brand new Punjabi Remix entitled “Hogeya Tranquille” featuring Drumline, Maitre Gims, Panjabi MC, Stylish Singh, Tru Skool, J-Kwon & more! 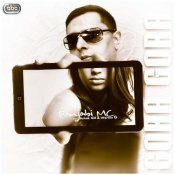 Panjabi MC is back with his highly anticipated brand new smash hit single entitled “Gora Gora” featuring Ashok Gill & Warren G!! ARE YOU Panjabi MC? Contact us to get a featured artist profile page.